Japanese inhabitants of cities to be bombed were warned to leave but Japan authorities usually would not let them as it would validate the influence of the PSY-WAR leaflets and radio broadcasts directed from Hawaii. Eventually some Japan city mayors allowed evacuations, saving thousands of lives. 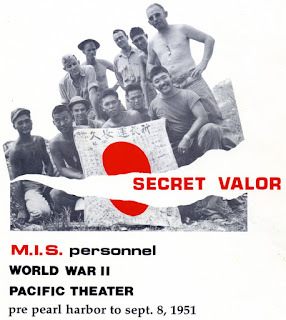 psy-war role in this Pacific War campaign. were sunk. Of these, 1,099 were cargo ships (3,300,000 tons). Japan builds less than 2,000,000 tons of new ships a year. We are sinking your ships at a rate of 3,000,000 tons a year. 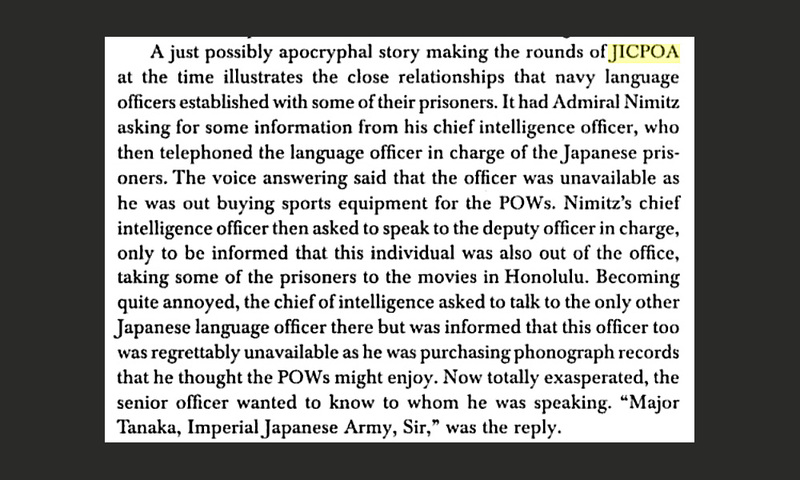 At Camp Iroquois a Japanese POW might just answer the camp telephone ! The former Premier told interviewers he had never heard any foreign broadcasts. While in office, he saw occasional digests of intercepts. 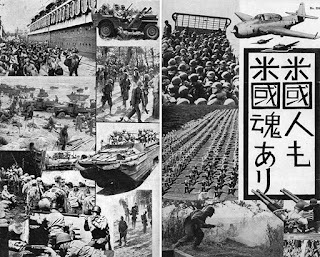 He said there was no comparison between the skillful “explanations of facts” by the Allies and the blundering fabrications of the Japanese. He had been forced to alter his view toward leaflets. 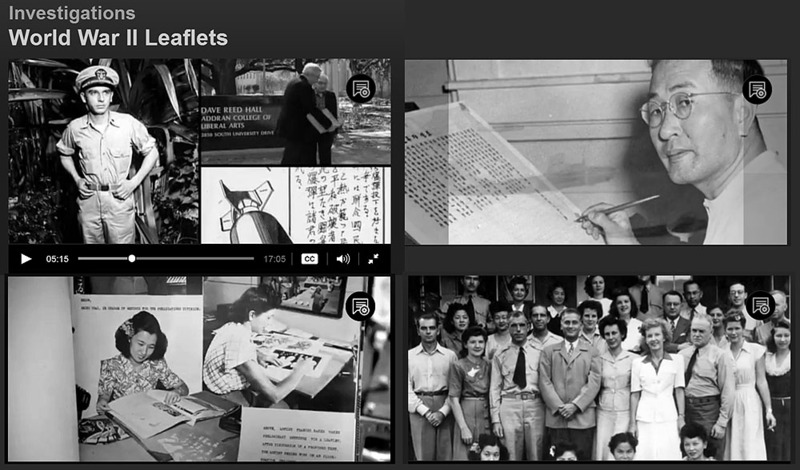 At first he had been confident that the Japanese people would be impervious to propaganda. He now believes, however, the proverb that what a Japanese “hears three times he believes.” The Japanese did not have the resistance to propaganda he had anticipated. While he admitted that “sinking’s and bombings” also had their effect, there was no doubt in his mind that Allied leaflets had weakened the people’s will to fight and this shortened the war. 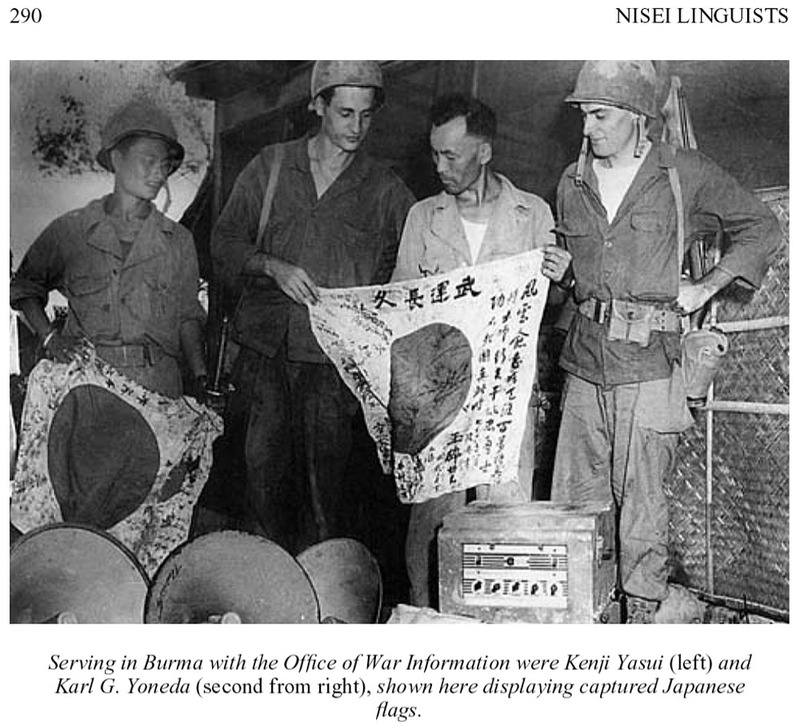 "The bombing so far has destroyed only a small part of the Japanese industry. without doing anything. That is an attitude taken by cowardly persons." On the rim of Makalapa Crater at Pearl Harbor, this semi-permanent wooden structure was built in 1943 to house the Joint Intelligence Center Pacific Ocean Areas (JIC-POA), where intelligence was collected, evaluated, and disseminated throughout World War II. “The joint intelligence center is responsible for providing and producing the intelligence required to support the joint force commander and staff, components, task forces and elements, and the national intelligence community. Similar opposition arose at theater level. 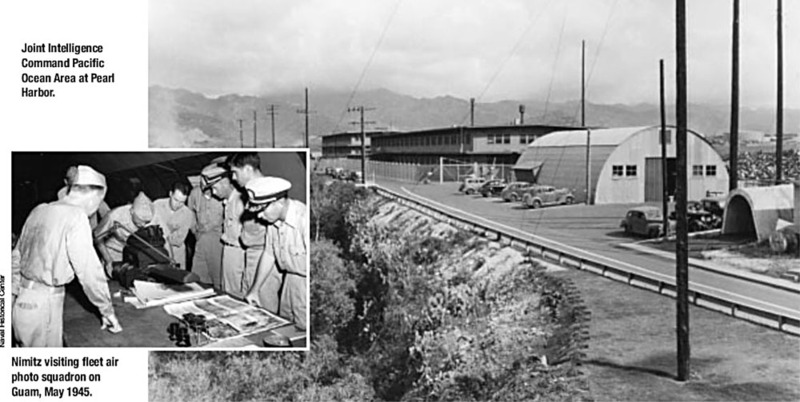 Despite strong support from the Marine Corps as well as Pacific Fleet for forming a joint intelligence center in Spring 1942, JICPOA did not become a reality for another 14 months. In response to CINCPAC, the vice chief of naval operations noted that after looking at inherent difficulties in directly initiating such a joint project, it was preferable to constitute the activity as primarily a naval center. 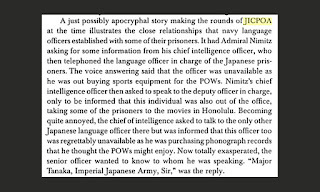 Former Navy Lieutenant Robert Morris tells of being assigned as a psychological warfare officer in 1944 to the Joint Intelligence Center Pacific Ocean Area (JICPOA). 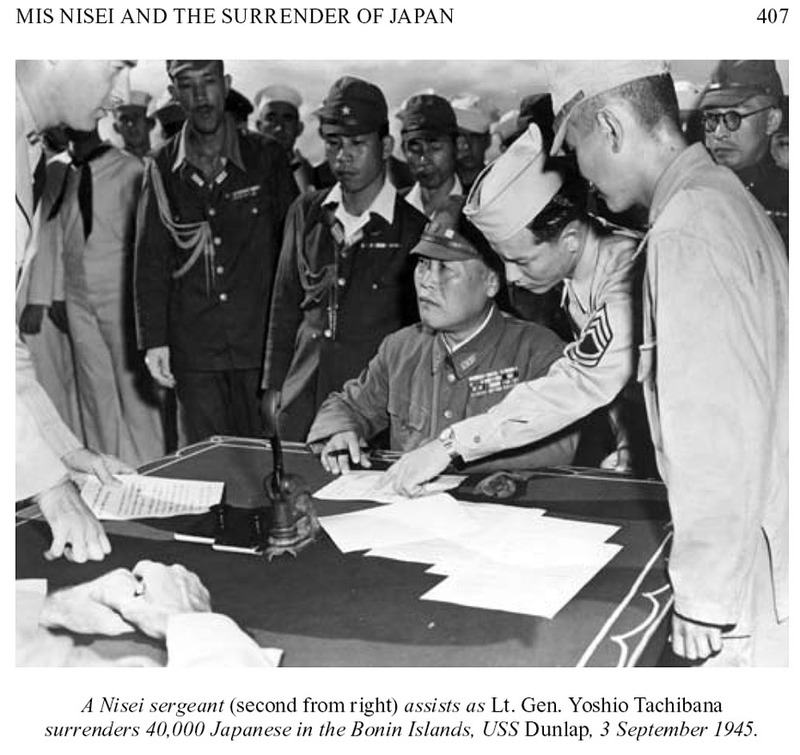 He moved forward in early 1945 to Admiral Nimitz’s headquarters in Guam. Later, Nimitz placed an advanced headquarters on Saipan. 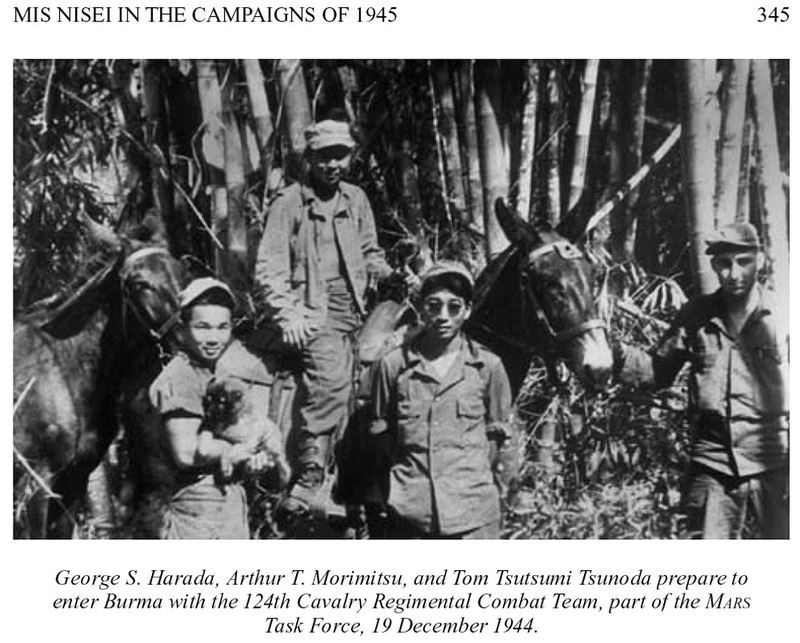 Morris was responsible for traveling to all the various American-conquered islands and working with the commanders to use PSYWAR to bring in Japanese prisoners. By the end of the war, he had visited 61 American outposts. 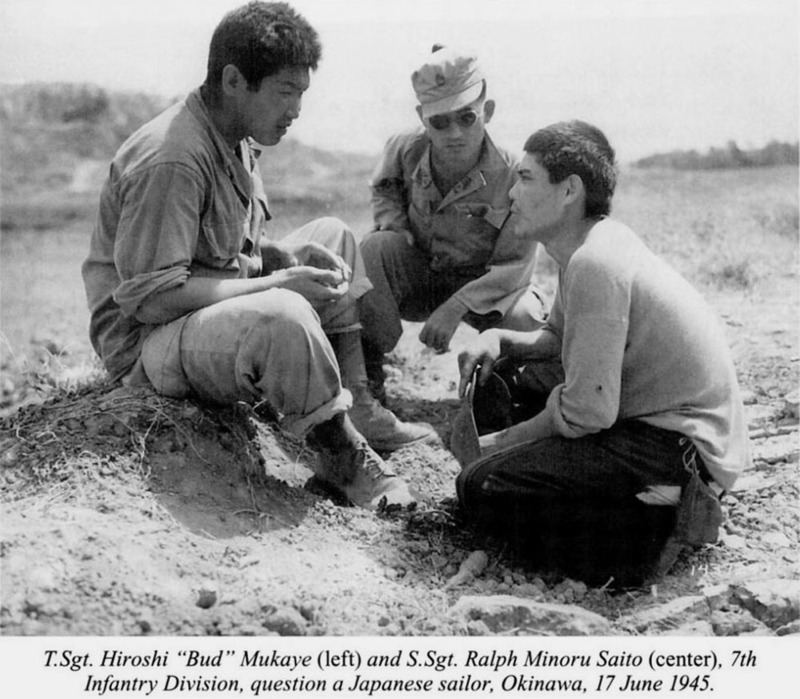 One of his major responsibilities was convincing the Japanese home islands to surrender to save both Japanese and American lives. 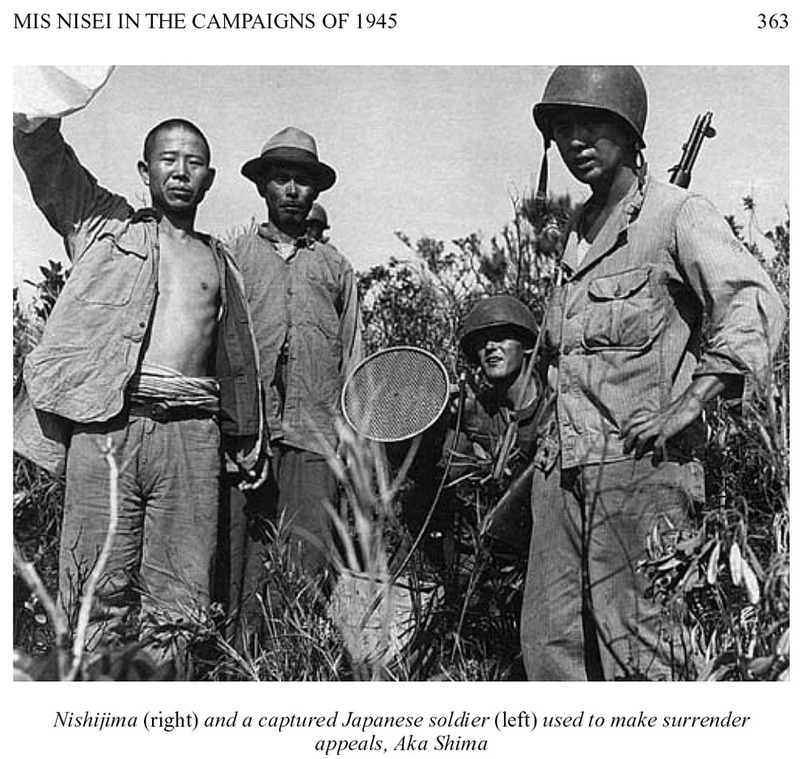 The home islands were already being bombed and the Japanese as yet showed no sign of surrender. Naturally, Morris leaped to the idea at once. It was particularly fortunate that the plan originated with the B-29 people, for that meant they were willing to assume the risk and responsibility for the project. 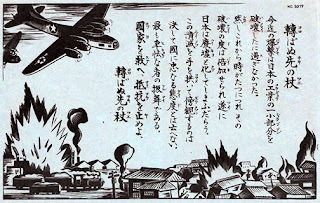 After a discussion in the operations room, we decided to announce by leaflets, dropped by B-29s on weather runs, the names of Japanese cities, three of which would be bombed within the next 24 hours. 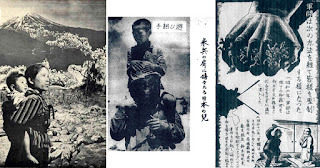 12 cities were eventually named on each leaflet, to make it more difficult for the Japanese to marshal air defenses over the greater number of cities. The next morning, as early as possible, Morris was off to the Camp Iroquois prisoner-of-war stockade with Paul Boller, a Yale graduate student who was the best language officer we could find on the island. 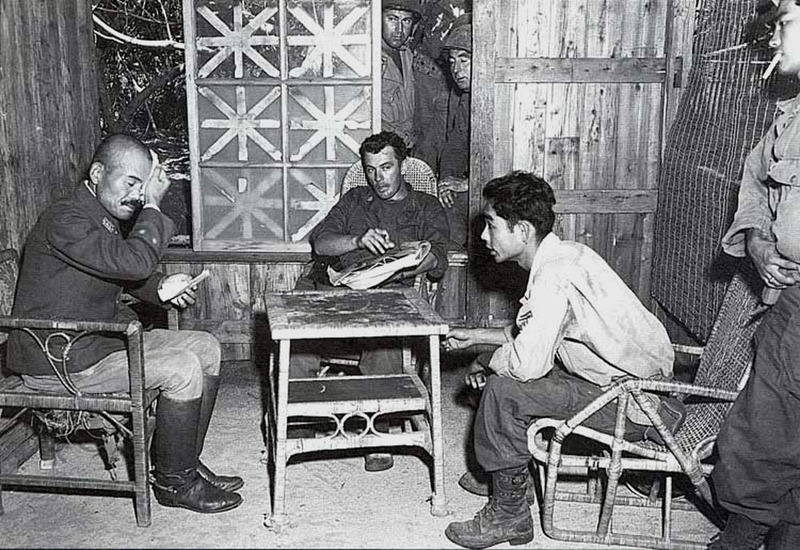 He explained the project to him and asked him to explain it in great detail to our Japanese prisoner advisers. Morris could see that they liked it. They soon indicated that they would help us perfect the language of the leaflet. They agreed it was a humanitarian act that would save many thousands of Japanese lives, possibly those of their own families. Boller, the Camp Iroquois prisoners and Morris spent the day polishing the text. The 21st Bomb Command assigned three weather B-29s for the warning runs, and the operation got under way. Altogether, 31 cities were warned by leaflets, and 14 of them were fire bombed later. We, the President of the United States, the President of the national government of the Republic of China, and the Prime Minister of Great Britain, representing the hundreds of millions of our countrymen, have conferred and agreed that Japan shall be given an opportunity to end this war. are poised to strike the final blows upon Japan. The Japanese military force, after being completely disarmed, shall be permitted to return to their homes with the opportunity to lead peaceful and productive lives. We call upon the Japanese Government to proclaim now the unconditional surrender of all the Japanese armed forces, and to provide proper and adequate assurances of their good faith in such action. The alternative for Japan is prompt and utter destruction. Otis Cary was a Navy linguist who had been born in Japan as the son of missionaries. 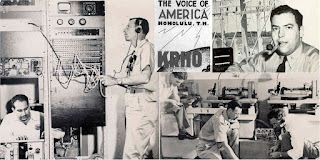 Cary already spoke excellent Japanese, and after completing the Navy’s Japanese language school, he was commissioned as an ensign and sent to Hawaii to serve in Admiral Nimitz’s Central Pacific Command. 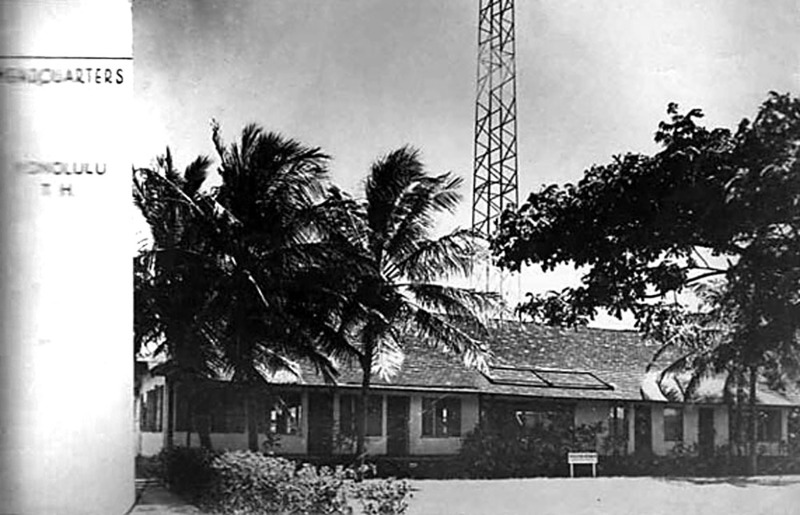 Cary took part in the American invasions of Attu and Saipan. 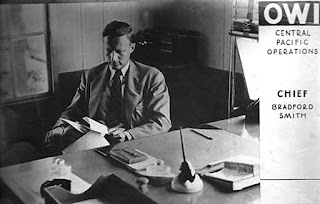 In early 1945, he convinced a small group of Japanese prisoners held at a POW camp named Camp Iroquois to consider cooperating in America’s war efforts by writing propaganda. 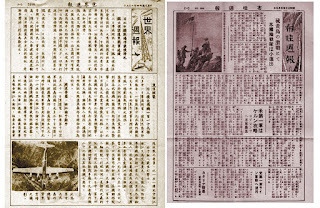 They first improved the effectiveness of the American propaganda newsletter, Mariana Jiho (Mariana Bulletin). 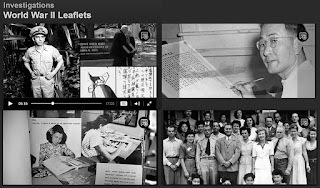 However, the most significant project the group completed was the rapid translation of the Potsdam Declaration in July 1945. Allies were a peace-loving people. 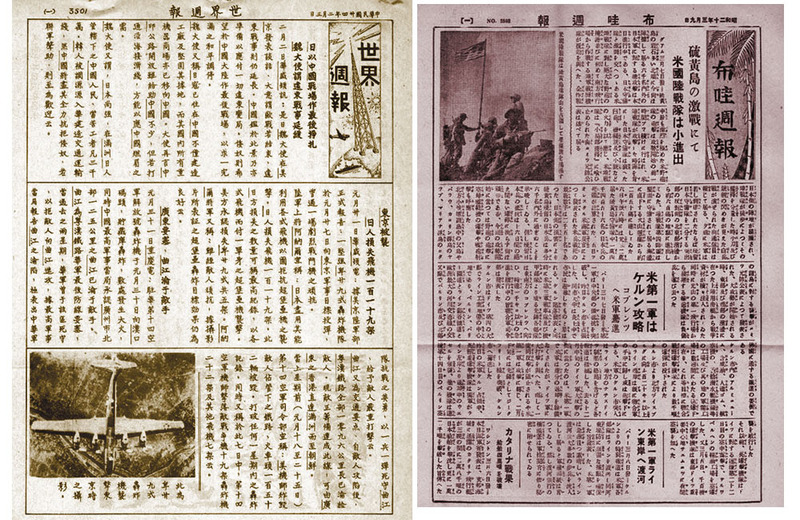 I am requested by Secretary Byrnes to send appreciation to everyone concerned for the magnificent work done in lettering, translating, printing, sending and distributing the important leaflet directly before the surrender of Japan. It is the belief of Secretary Byrnes as well as we in this office that the factor which helped to bring about the final surrender was this leaflet. This picture shows some of your comrades who have embarked on a new life. Far from being killed or maltreated, hey are taken care of and given medical treatment just as American soldiers are. 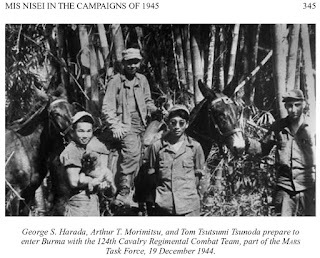 The Invasion was undertaken by the 10th Army…Their enthusiasm for psychological warfare apparently had not diminished, for when they landed they had a complete psychological warfare unit assigned to them…This was really the first full-scale psychological warfare attached to an invasion army in the entire Pacific War. 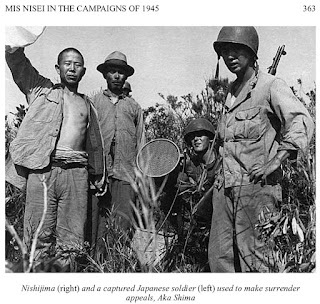 The fact that over 19,000 prisoners were taken on Okinawa testified to their success. 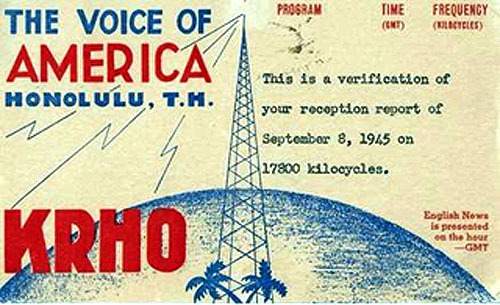 At the end of the hostilities the OWI on Hawaii produced a booklet to illustrate and describe what they had done during the war. The cover depicts Chief Bradford Smith and the Honolulu OWI transmitter. to publish in a declassified form. Upon his death in 1994 his papers were given to the Eisenhower Library. The material required a page by page declassification. There are 29 boxes entitled “The OWI series” Among the information is the draft of the history of the OWI which Lilly never finished. 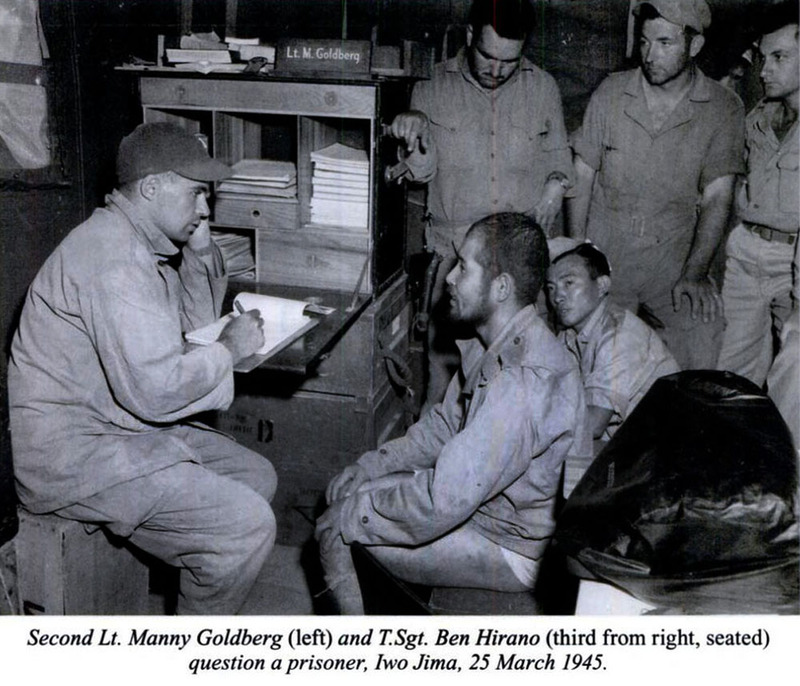 Frank B. Gibney (1924-2006) first visited Asia as a lieutenant in U.S. Naval Intelligence stationed in Japan during World War II and returned to Japan in 1949 as Time-Life's bureau chief, covering the Korean War. He remained in Asia where he did extensive reporting in Japan, Korea and Southeast Asia. Gibney later served as an editor of Time, a senior features editor of Newsweek and an editorial writer for Life magazine. Gibney was the author of 11 books, including Five Gentlemen of Japan (1953), Japan, the Fragile Super-Power (1975), Miracle by Design (1983), and The Pacific Century (1992, trade book). He was chief architect of the award-winning PBS television series Pacific Century and co-founded the Pacific Basin Institute in 1979. 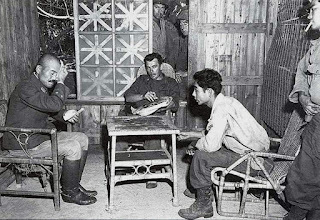 "A wartime prison camp would seem an odd spot to learn a strange country's culture, particularly when its armies were still in the process of writing one of the bloodiest and most brutal chapters in modern history. But that is where I came to know the Japanese," Gibney wrote in a 1997 article for Time magazine in Asia. He worked for two years at a POW camp across from Pearl Harbor called Camp Iroquois. In a 2004 article for The Times, Gibney described an almost collegial relationship between the prisoners and their interrogators. Gibney was a member of the Navy's elite corps of Japanese translators, interpreters and code breakers who were vital to efforts to end World War II. 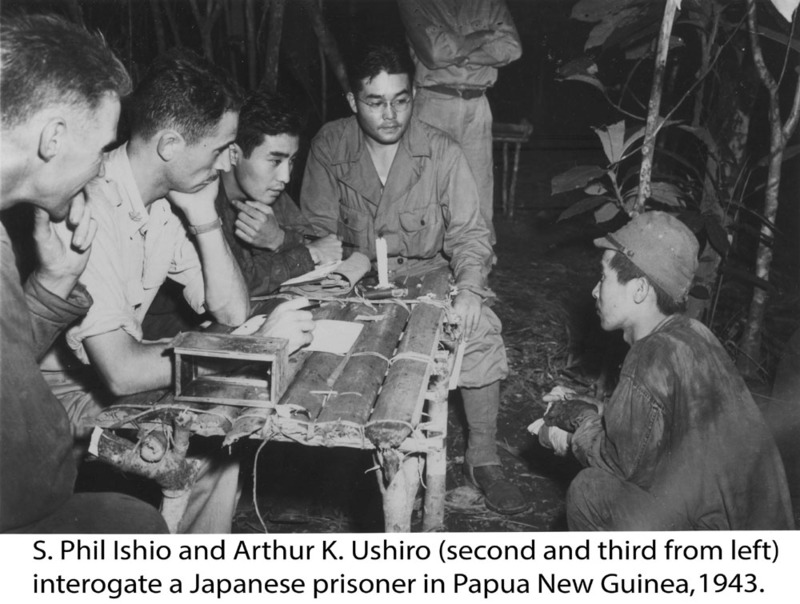 He interrogated prisoners at Pearl Harbor and other Pacific battle areas and served as a combat translator who helped to capture Col. Hiromichi Yahara, the chief Japanese military strategist on Okinawa. 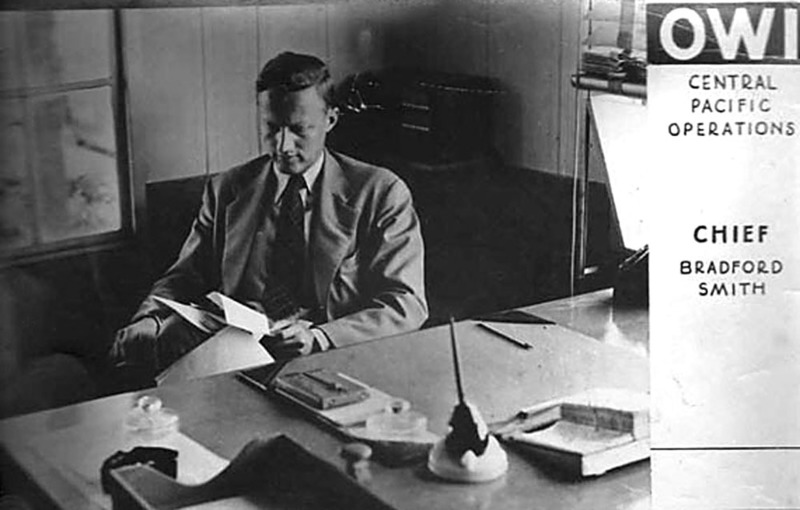 He went on to become a correspondent and editor at Time and Newsweek and an editorial writer at Life magazine. 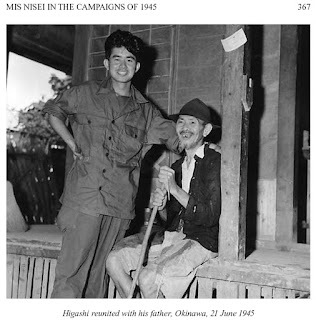 He wrote 11 books, including "Five Gentlemen of Japan," which gave many Americans their first real understanding of a country that was widely viewed as dangerous and mysterious. When Japanese fighters bombed Pearl Harbor in 1941, propelling America into war against Japan, the U.S. Navy was caught flat-footed in more ways than one. Only 12 officers in the entire ranks were fluent in Japanese. 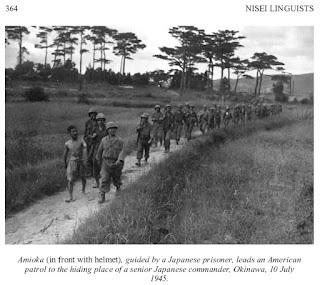 The Japanese Issei (first generation) immigrants and their American Nisei offspring who understood the language were about to be rounded up into internment camps. In a panicky scramble to plug the gap, the Navy plucked more than 1,000 men and women from Harvard, Yale and other elite institutions and sent them to a crash course in the Japanese language at the University of Colorado at Boulder. 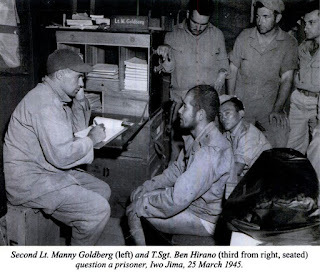 Those "Boulder Boys"--who included some girls--served critical roles as interpreters, translators and code breakers, helping bring an end to the war. But their greatest contribution came later, when many became America's first real brain trust on Japan. Many of these unheralded veterans, now mostly in their 70s and 80s, gathered in Pomona over the weekend for the first--and probably last--conference to share their little-known experiences. The lineup included some of America's most distinguished names in Japanese studies.